All Air Heating & Cooling Services is your heating expert in the Fredericksburg area. We have specialized in HVAC installation and repair for more than three decades. Part of our expertise comes from the variety of options and solutions for your home furnace needs. Many people are acquainted with gas furnaces but do not know that other heating delivery systems exist. The option of using an oil furnace can be very beneficial for a number of reasons. We offer high-quality oil furnaces that can impress even the most discerning customer. Why should people consider oil options, though? This term can cover both financial and house heating efficiencies. 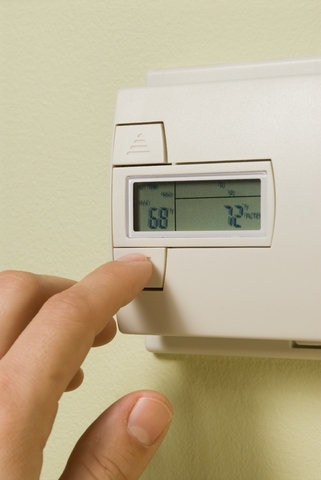 With an Annual Fuel Efficiency Rating in the high eighties, your oil furnace can be a mean, green, heating machine. Oil burning can heat a large area in a quick manner, meaning your furnace spends less time warming up and trying to maintain temperature for your home. This equates to overall efficiency, which then results in savings on your end. Additionally, oil furnaces have a longer than average lifespan – up to thirty years! All Air offers additional support to maximize the effectiveness of your HVAC system. You will not be disappointed in the results! The focus on oil burning technology revolves around its impact on the environment. With advances in technology, oil burning produces close to zero emissions. This can be huge in the long run for our environment and how human energy consumption affects it. Unlike natural gas, oil is considered a renewable resource. With low emissions and high supply, utilizing oil can be seen as a beneficial maneuver. All Air is your heating installation and repair specialists in Fredericksburg. We offer a variety of products to fit your unique needs. Oil furnaces can be very beneficial for a number of customers. Keep in mind, though, that a number of factors go into what furnace type is right for you. Next week, we’ll look at more benefits that oil heating can offer. Contact us today to find the answer for your home heating needs!